The border collie dog is considered a very smart, energetic, and athletic dog breed that is used for herding all kinds of animals, so it is considered an economic gain for the farmers, being used in dog sports including obedience, fly ball, agility, and tracking, because its success in sheepdog trails, having a strong sense of smell, so it is used for tracking trails, being used to hunt wild birds ,living in the U.K, bred for jobs that need decision making, intelligence, being a playful breed, having many colors as the red, white, chocolate, lilac, blue, and brindle, having a smooth or rough double coat, measured about 48: 56 cm for males, while the females are measuring about 46: 53 cm, being a medium sized breed. Its Lifespan is about 10:14 years. Border collie has a long tail that is covered with hair, raising its tail when it is excited, being used as search and rescue dog. Border collie needs to have a lot of exercise, because it is considered an active breed, so we should give it a minimum of 2 hours exercise every day to make it happy, being loved by trainers, as it responds to their commands, and has the ability to learn new things quickly. If it was left alone, it will be destructive. Border collie dog is considered a wonderful pet with children and the other pets, but it is aggressive with the other dog breeds. It also became destructive if it left alone for a long time. The Border collie has a double coat that needs regular grooming. If you want to own a Border collie, you should choose the adult one, as bringing puppies needs a lot of time, and effort, and you should take your puppy to the veterinarian after adopting it to avoid the health problems. 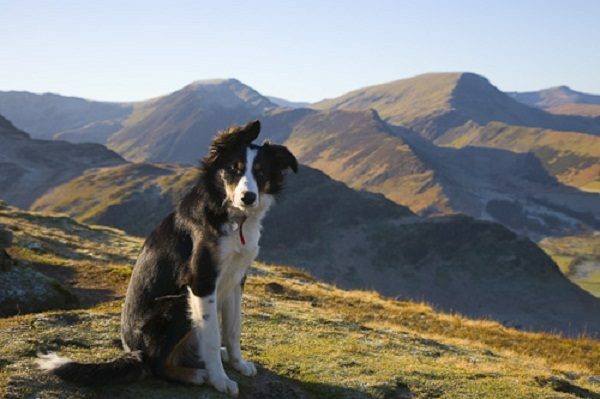 There are many cool facts about Border collie. The Romans are the first people who use Border collie for herding the livestock. They brought the sheep and the sheepdogs to Britain where they established the wool industry. These sheepdogs can adapt to many climates, herding a huge range of livestock, and other animals. These Roman herding dogs were larger than we see now. The Border collie derived its name from the ancient word ‘’colley’’ that means faithful or useful. The Border collie was considered the best herding dog both in the farm and in the trails. Border collie derived its name from the region it bred in. It is bred in the border country of England and Scotland. This working dog hasn’t been bred for its appearance, but it is bred for its intelligence, agility, and its ability to herd the livestock. 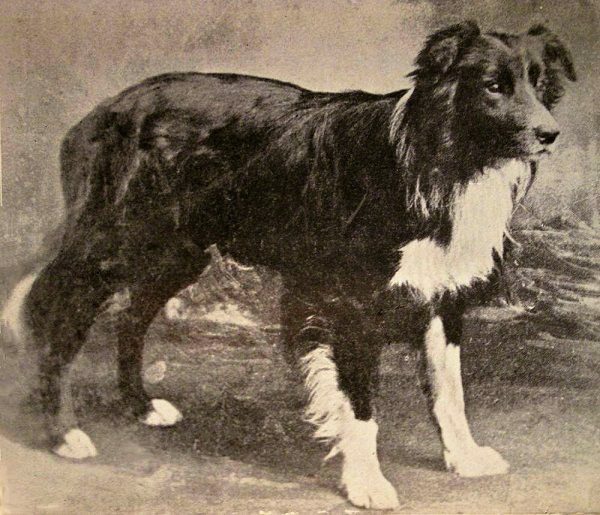 James Red was the first person who wrote about the history of the Border collie. The Border collie is one of the smartest dog breeds, known as’’ the scotch sheep dog’’, being bred in the highland border and Scotland, having the ability of solving problems, thinking independently, controlling the flock. 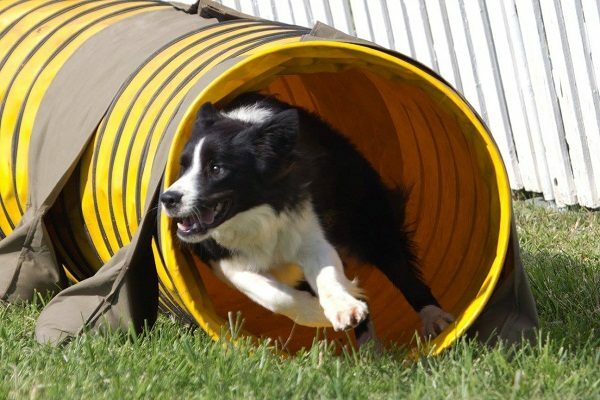 Chaser is considered an amazing example of the Border collie dog breed, having the ability to learn the names of a large amount of toys, and many sentences, so it fascinated the dog lovers and scientists, as it is a very smart dog breed. The Border collie dog breed is considered one of the smartest dog breeds in the world, being able to learn quickly, being a very active breed that needs to have many exercises. Its training isn’t easy because of its hyperactive nature. If you can’t give it the proper amount of the daily exercises, it isn’t considered a suitable breed for you. The age of 7-8 months is the suitable age to teach your puppy the difficult tricks, helping your dog to overcome its behavioral problems from its young age, being consistent during the training to help your dog to remember what it learned, using the positive reinforcement to motivate your dog as the punishment would affect your dog’s confidence, training it with gentle voice, starting with simple commands to make it easier for your dog to remember, moving to the challenging tricks after mastering the basics. Border collie is used as a herding dog, bred as working dog, used to herd the livestock, bred to chase and organize animals because of its intelligence, and independence, using a whistle to herd the livestock under the direction of a person. 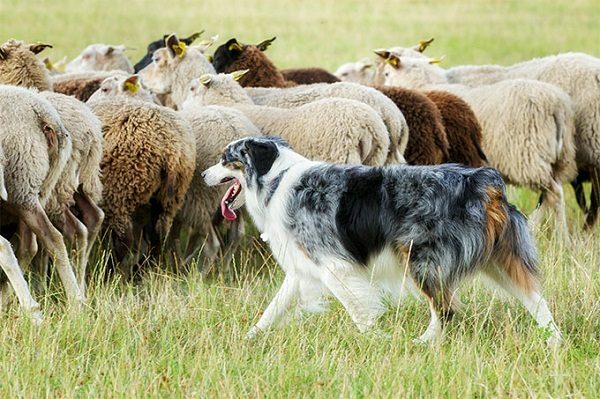 IF the Border collie doesn’t have sheep to herd, it will herd people, children, or the other pets, having the ability to stare intensely to keep the livestock together. 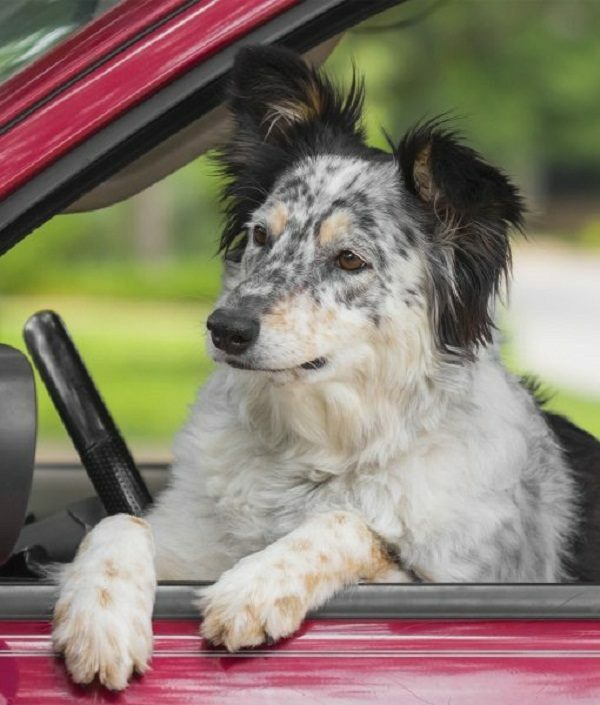 The Border collie is distinguished with its herding eye, using its herding eye to herd the livestock, staring intensely at the livestock that respect, obey, and go where the dog directs them, stopping when the dog blocks their path, being unafraid of the dog. 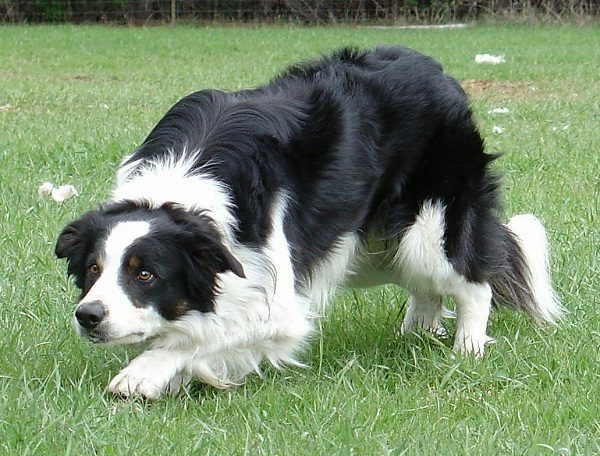 Border collie can use the technique of crouching to herd the livestock, because it has a space between the tops of the shoulder blades that facilitates staying on the ground, putting its head low to the ground, with its hindquarters high ad its tail tucked between its hind legs, helping it to herd the livestock with proper realization. 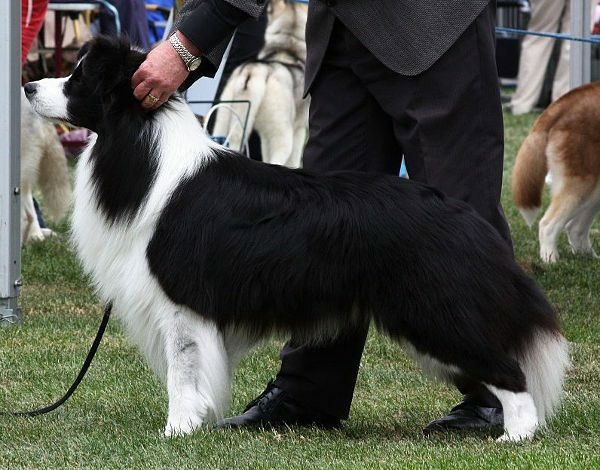 The Border collie that called Chaser is considered the smartest dog breed in the world, learning a lot of vocabulary through working with a professor of psychology called john pilley since it was two months old. Chaser learned the different names of toys, since it was five months old, showing its intelligence by recognizing the names of the different toys when it is asked. The Border collie that called Striker has achieved a world record by unwinding a non- electric window in 11.34 seconds on 1 September 2004 in Quebec City, Canada, using its paw, and nose to carry out the record. The car window length is 72.5 cm, while its height is 42 cm. The Border collie is considered a very smart breed, being also a hyperactive breed that became bored if has been left without doing a task, so you should engage it in many tasks during the day to make of its high-energy nature in carrying out useful tasks throughout the day. Old Hemp is the considered the progenitor to the Border collie breed that is considered quieter and less aggressive breed than the other breeds. Old Hemp technique affected the breeders, in spite of its softer nature. Old Hemp began herding the sheep at 6 weeks old, having the ability to inspire the creation of the Border collie breed. 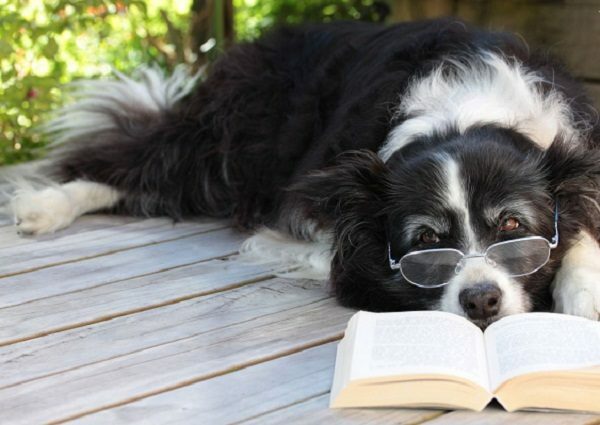 Border collie is considered a movie star, because of its intelligence. The Border collie that named Maui played Murray for seven years, being the most popular dog on television. Border collie is exposed to many diseases as the other dog breeds, so you should be aware of these diseases before adopting it. You should also provide it with the proper environment for its high-energy nature, as the farm, and the dog sports. Border collie is considered a loyal companion, needing a special care. You should provide it with some things as a leash, collar, food and water dishes, some toys and a dog hairbrush. Border collie needs regular grooming because of its long coat, and it should have a bath every 4-8 weeks to keep its coat clean and healthy. 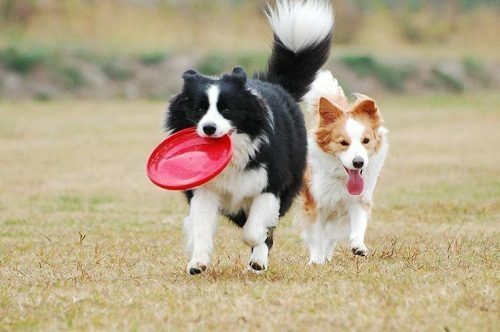 Border collie needs also to have a plenty of exercise, because of its hyperactive nature. You should take your dog to the vet regularly to have a physical checkup. You shouldn’t give your dog the cheap food to avoid the health problems that may occur to your dog, but you should use the food that contains meat, poultry or fist. You should consult your vet to determine the suitable diet for your dog. 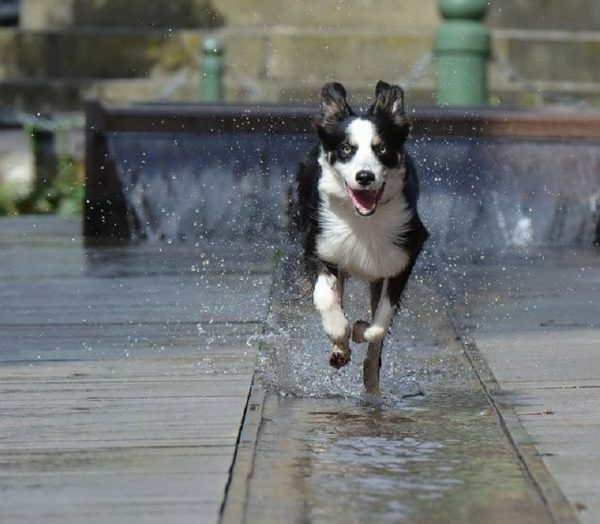 Border collie puppies drink a lot of water, especially in the hot weather, so you should take a bowel of water, when you intend to go out with your dog it is very important to begin training your puppy from its young age, then motivating it for its good behavior. 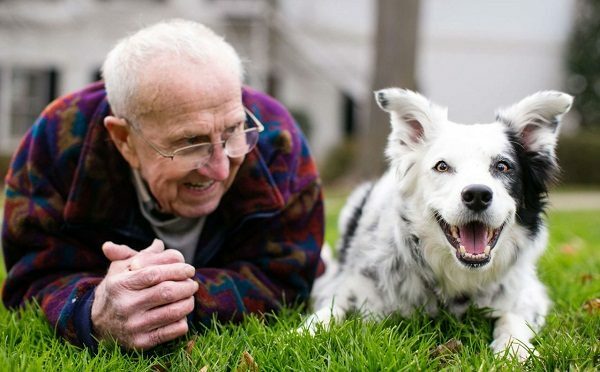 Many vets recommend the Border collie, because it is easy to train, being genius breed, and very independent thinker, so it is considered a good family pet. You should read about Border collie to make its life healthier and happier.